No office is too large. Once everything has been disassembled, we can fit more in our trucks. 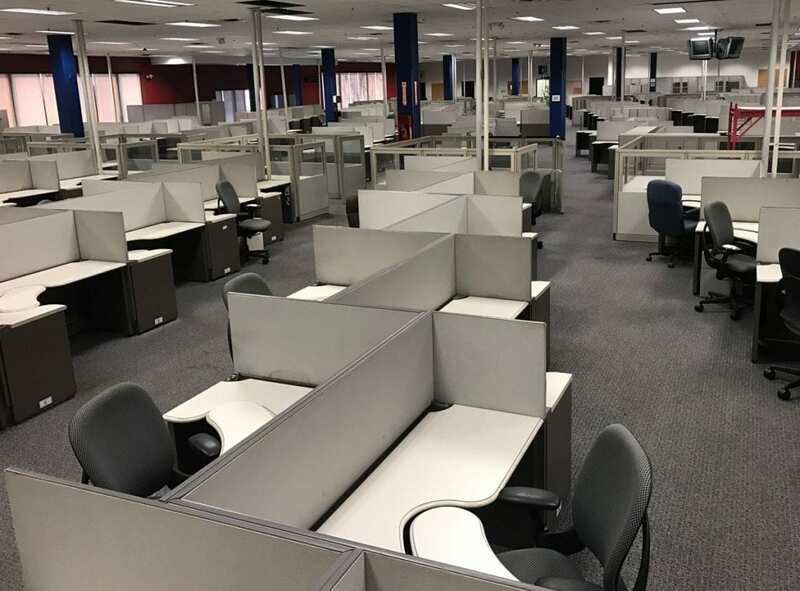 Watch our crew disassemble and remove cubicles from this massive OKC office! Offices can be difficult to renovate or de-clutter because everything is so bulky, especially the cubicles. The trick of course is to disassemble everything so that removal is more efficient. However, disassembly can be confusing and take too much time especially for larger offices. The perfect solution for disassembling your cubicles is Junk Boss! Our trained crew can have your cubicles in disassembled pieces in no time. After disassembling, the next step is removing all of the cubicle components. Disassembly is only half the job, now you must dispose of it. Lucky for you Junk Boss has the means with our spacious trucks that can fit more if things are disassembled. If you’re concerned about having too much stuff, no worries we have more than enough trucks for the job. Simply call us for an estimate. After we have disassembled and removed your cubicles, we put our best service into practice; we try to salvage/recycle as much as possible. Not everything can be recycled but what can be we’ll take care of. Not all junk removing companies recycle and with as much material that offices are made up of, that’s a shame. No matter how big or small your office or how many cubicles you have, count on Junk Boss to take the reins and safely remove what you don’t need. We offer competitive pricing with no hidden fees. Give us a call today so you can clear out that old office!